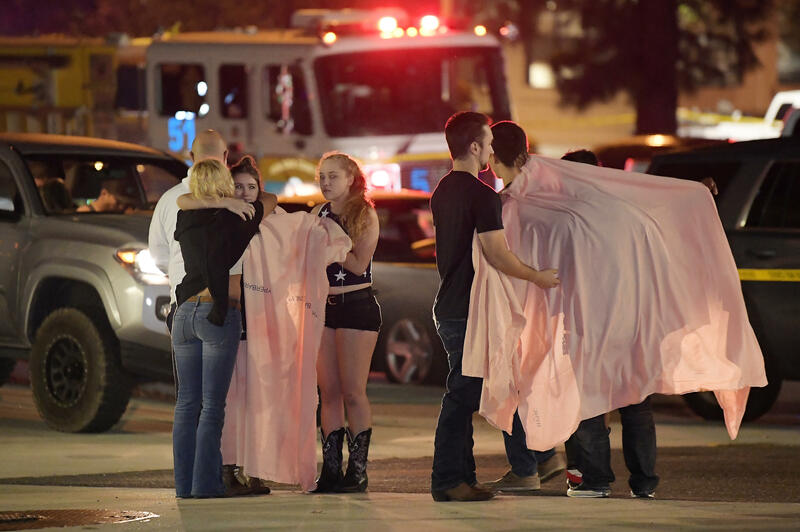 THOUSAND OAKS, Calif. -- The gunman who killed 12 people in a crowded Southern California bar had more than 150 bullets left to fire but stopped shooting to ambush arriving officers, killing one of them, police said. Investigators said Tuesday they still don't know why 28-year-old Ian David Long attacked staff and customers at the Borderline Bar and Grill in the Los Angeles suburb of Thousand Oaks on Nov. 7. The first two officers to arrive at the scene, sheriff's Sgt. Ron Helus and a highway patrolman, saw at least 100 people fleeing the bar and ran into an ambush, Ayub said. Long had gotten into a tactical position and fired on them when they entered. Helus, a 29-year veteran of the department who was close to retirement, was killed. Todd Stratton was at the bar when the massacre unfolded. He'd also been friends with Long for 11 years and told CBS News he thought he might be suffering from post traumatic stress disorder (PTSD) when he came back from deployment in Afghanistan in 2013. "I literally feared for myself around him," Colell said. "He was the only athlete that I was scared of." Editor's note: On Dec. 7, investigators revealed that Sgt. Ron Helus was accidentally killed by a patrolman's bullet; he was also struck 5 times by the gunman. Read the latest story here.